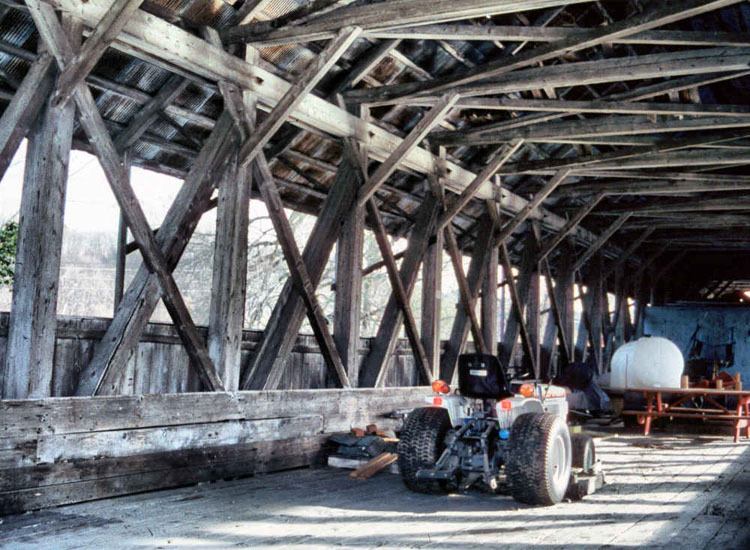 The Sanborn Bridge was moved from where it once crossed the Passumpsic River to Benjamin Sanborn's farm. The Sanborn is the last of the many Paddleford truss bridges that once crossed the stretch of river between Lyndon and St. Johnsbury. The others were destroyed by the 1927 flood.